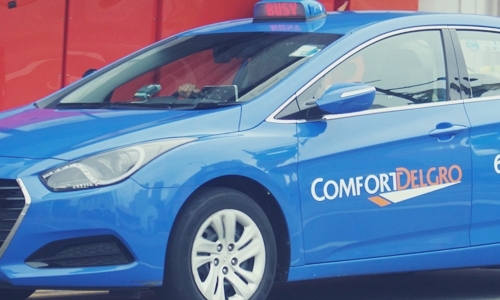 One of the largest land transport companies in the world, ComfortDelGro has reportedly announced an investment of A$134.45 million in Australian bus companies and depots as a part of its expansion plan in the country. ComfortDelGro stated in a news release that it had acquired Forest Coach Lines, which is Sydney’s oldest privately-owned bus and coach operator, for A$110 million. Incidentally, this isn’t the group’s first investment in Australia. In 2008, the company joined hands with Cabcharge Australia and acquired the Kefford Group for A$149.2 million. As per The Business Times, the acquired Australian bus and coach operator runs a fleet of 220 buses across eight depots. It runs a Region 14 bus service in Metropolitan NSW and other services in regional New South Wales along with school and non-school charter services. The company further added that there is scope for growth in the area it operates, since the Northern Beaches Hospital us due to begin operating by the end of 2018. Incidentally, the company will acquire Tullamarine Bus lines for A$32.2 million, as reported by trusted sources. Tullamarine runs on seven bus routes, in a deal with Public Transport Victoria. Yang Ban Seng, MD, and CEO, ComfortDelGro stated that the acquisition of Tullamarine Bus Lines is a strategy to merge the company’s operations in north-west Melbourne. The recent surge in the population, followed by new developments, has increased the demand for public transport services, added Ban Seng. In April, the land transport major also signed a deal with National Patient Transport, Australia’s leading non-emergency transport service. The deal marks CDG’s expansion into Australia’s patient transport business. NPT runs operations in Victoria, Western Australia, and New South Wales with a fleet of 144 vehicles. As per authentic reports, CDG collectively has more than 42,700 taxies, rental vehicles, and buses with operations in the UK, Ireland, China, Australia, and other countries.